The story of a local Bay Area family and their Cabinet team. This is the first post of Bay Custom Cabinets, so we figured we could start from the beginning. It all began in a garage in Capitola on Court Drive. Dan O'Bannon was 32 at the time and had already been a cabinet maker for ten years. With the help of his father Bob, a carpenter / cabinet maker from the Los Angeles area, he purchased a used 2 horse power craftsman table saw, the heart of the shop, and he was off and running. As jobs all over Santa Cruz County started to flow in, including Aptos, Soquel, Watsonville, and as far as San Jose, and Monterey, Dan needed to move into a bigger shop. After jumping around a bit, he finally settled on a 2,000 sq ft shop on Porter St. in Soquel. 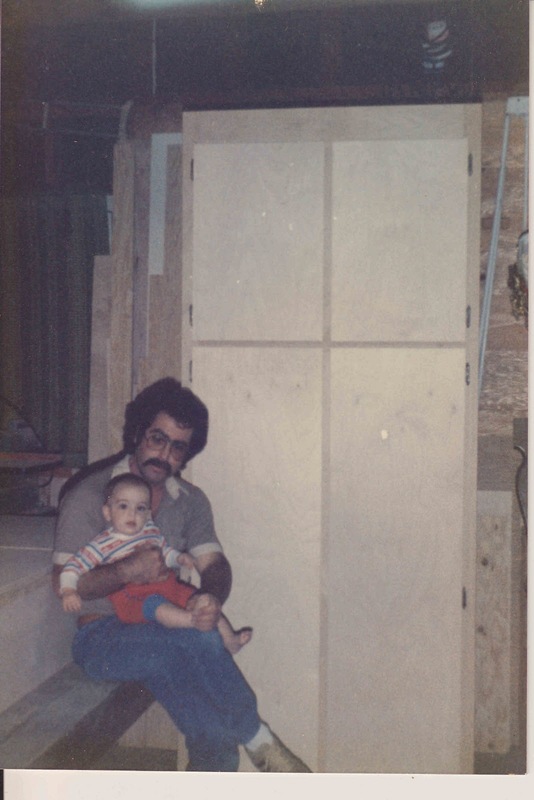 In the process of expansion, Dan began to train his two brothers, Jeff and Larry, as cabinet makers Apprentices and now production was tripled. They used an old school method of layout and design called the story pole, where each kitchen was designated its own layout stick so that each cabinet could be marked out in real time and double checked throughout the building process, to get the customer exactly what they want as well as decrease the chance of mistakes. Though many changes have been made in the industry, for instance cabinet interiors went from unfinished pine or fir to melamine and now to pre-finished maple, this story pole method is the one we continue to use today. Other changes have been; door hinges and drawer guides, from the wood on wood monorail system to the sleek, soft close Blum Motion. The invention of the wide belt sander, called the ‘Time Saver’ did just that and allowed us to sand large quantities of face frames in one fowl swoop. As time went on it was once again time to move. We needed a ranch, a place with more room and a house. With this in mind Dan and his son Matt, moved into the shop with the intention of saving up. Looking back, this time is what inspired me to be a wood worker. Years passed and the opportunity was found out in Watsonville, near Freedom. Dan asked Jeff and his daughter Bri, to go in with him on the property, and it was dubbed the O’Bannon Ranch. They expanded further into the Silicon Valley area and into places like Carmel, until it was time for Matt to start his apprenticeship. Learning from his uncles and father, Matt got a crash course and as work picked up they were able to take on more apprentices, first Alex Rodriguez and finally Larry’s boy, Ian O’Bannon. Now the team was assembled, with a crew that resembled the Avengers or the Justice League, only rather than saving the world with brute strength or the ability to fly, we were doing it one cabinet at a time. 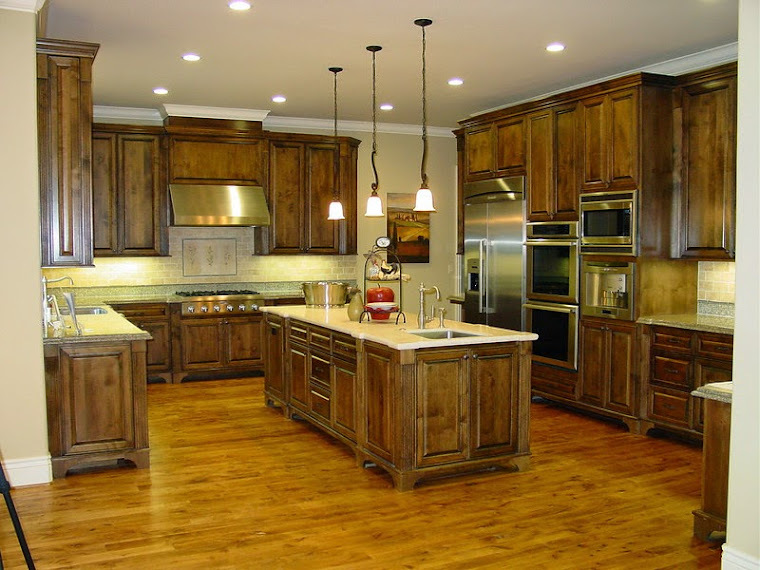 We are Bay Custom Cabinets, American made since 1985.